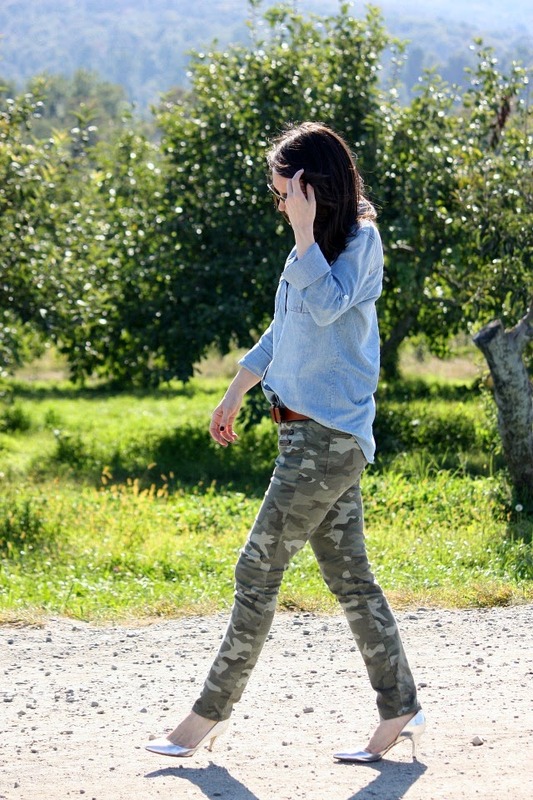 Walk down a dusty road in the middle of an apple orchard wearing silver pumps. Bucket list - check. But don't worry - no shoes were actually harmed in the making of this blog post. 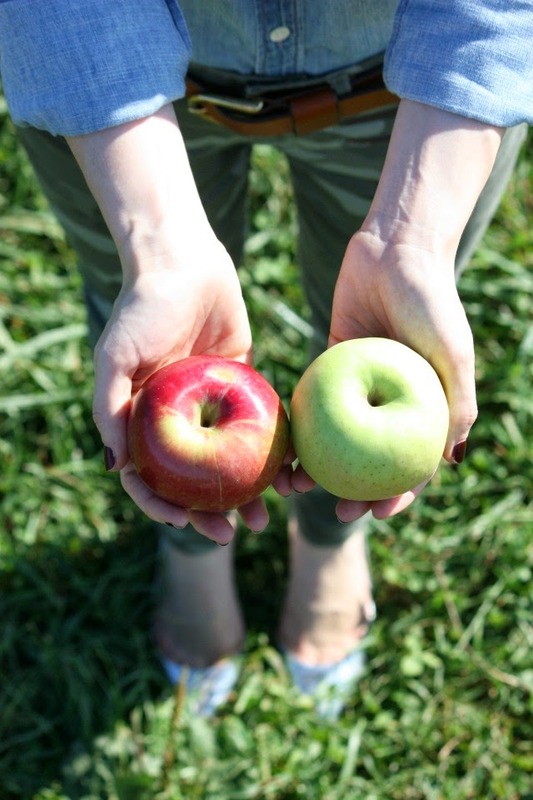 This past Friday, my husband and I decided to go all 'fall n stuff' and head upstate to Fishkill Farms for some good ol' fashioned apple picking. Yes, I did have a pair of flats with me, but in my defense we did go straight from the train to dinner so a girl must be prepared!! I think I enjoyed the rolling hills and beautiful scenery more than the actual picking, so I simply scouted out the good trees and my husband harvested. Yay teamwork. But enough about the apples - let's talk clothes. I don't care how 'in' or 'out' camouflage is from year to year, I will forever be a fan. I think of it as a neutral frankly - like leopard or even houndstooth. I love the rugged look of a loose chambray shirt and pairing it with these pants seemed like the best option for being in the country. For dinner (and strutting down a dirt road), I threw on my silver J.Crew pumps for a bit of flare. Again - metallics are neutrals to me, so they are fair game to be worn with almost anything. I debated on mixing my gold ray-bans, brown/gold belt and silver shoes but I love the final mash-up. Maybe we can call this my city meets country look? It's a bit of a stretch, but I am going to go with it.